Pequeña Cocina (Little Kitchen) serves authentic Latin American street food from the back of a classic 1975 Chevrolet C30 pick up. We are passionate about showcasing authentic Latin American street food with an ever changing menu. Our family run business is headed by chef Dave Watts who has over 15 years experience cooking around the world from street food to fine dining. Our menus are created daily using the freshest local ingredients available alongside specialty imported items designed to make the dishes truly authentic. 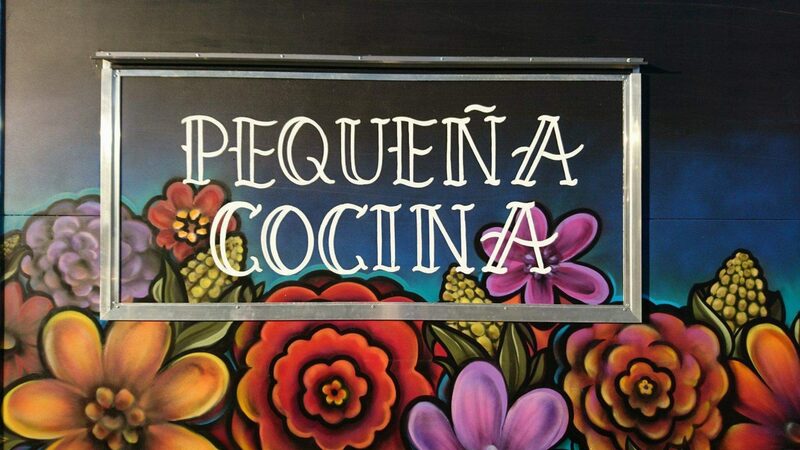 Pequeña Cocina is available for both private and corporate events including weddings, birthdays, parties and festivals. Breakfast, lunch or dinner talk to us about your event and like Pequeña Cocina itself we can custom build your menu, our Chevy brings a classic fun angle to any Fiesta. Keep an ojo on our Facebook and Instagram page to see where we are parking up each week and swing by to say Hola!